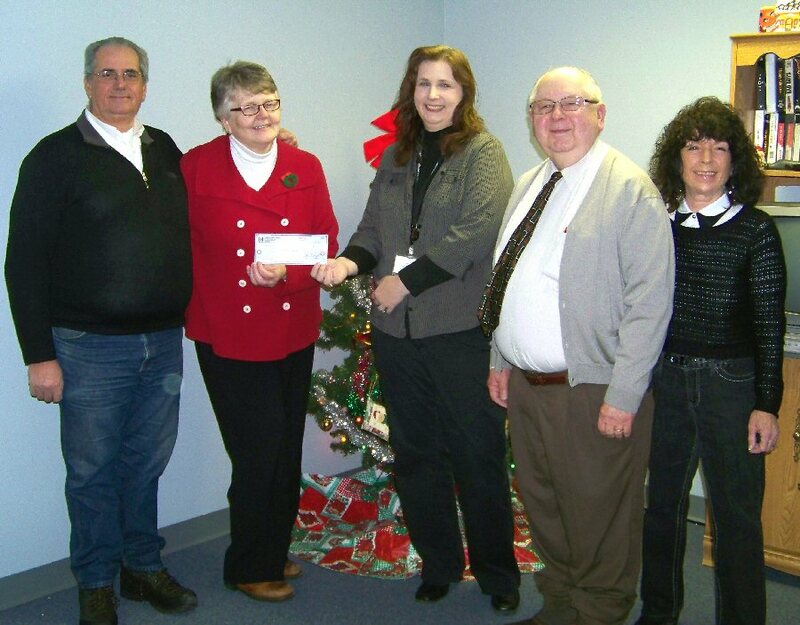 Representatives from the Oswego County Board of Realtors present Karen Merrill, program coordinator, with a donation in support of OCO’s PATH program. PATH provides homeless youth with transitional independent living services and assistance to help them become contributing members of society. From left are: Derek Woodmancy of Realty USA; Flo Farley of Prudential CNY Realty; Merrill; Executive Officer of the Oswego County Board of Realtors, Gene Friske; and Marilyn Boyzuick of Century 21 Galloway Real Estate. Absent from the photo are Karen Hammond of M&T Bank; Mike LaFurney of Appraisal Services of CNY and Patty Murray of Century 21 Galloway Real Estate. Each year, the Oswego County Board of Realtors organizes a fundraiser for the PATH program. Friskie added that in addition to their support of OCO’s PATH program, the Oswego County Board of Realtors also provides scholarship awards at every high school in Oswego County. Established in 1991, OCO’s PATH program has provided hundreds of homeless youth with transitional independent living services and helped them become contributing members of society. This year, the program was awarded another 5-year grant from the federal government to continue to provide services to the homeless youth of Oswego County. 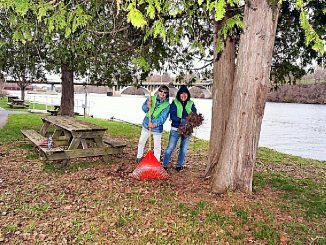 Merrill said she welcomes the opportunity to meet with local groups or organizations to raise their awareness of the PATH program and the positive effect it has on the youth of Oswego County. One of Oswego County’s largest employers, OCO employs more than 650 people and boasts a volunteer force of 1,200. OCO strives to improve the quality of life in Oswego County by helping people, supporting communities and changing lives.